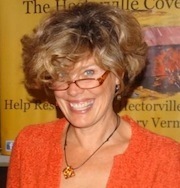 Archive Interview with Vermont Novelist Jennifer McMahon. In this, our first of two interviews, we discussed her book, Don't Breathe A Word. My other interview with Jennifer can be found here. Write a story, poem or scene in which spring cleaning features prominently. Award-winning Crime and Mystery Author Megan Abbott; we discussed her novel The End of Everything. This week's Write the Book Prompt is to write a poem or a scene in which someone is vacuuming. Best-selling sports writer Jeff Pearlman, whose latest book is Showtime: Magic, Kareem, Riley, and the Los Angeles Lakers Dynasty of the 1980s, which came out last fall from Gotham Books. This week’s Write The Book Prompt was suggested by my guest, Jeff Pearlman. Look around your room and choose something. For example, Jeff mentioned seeing a pineapple. Use the word for that object in your next sentence; it has to be a viable sentence. In his case, Jeff might then try to compare a basketball to the look and feel of a pineapple. Maybe the stickiness or the texture. He says it might not last, it might not make the final cut when it comes to finalizing the draft, but it often helps him to keep going when the work has slowed down. A second recommendation that Jeff makes is to listen to old-school hip hop while you write. He suggests choosing a jazz-infused kind of hip hop, like A Tribe Called Quest or Black Sheep. Jeff feels that the flow of really good hip hop is similar to the flow of writing. He says that some of his best work was written when he was listening to old-school hip hop. So there you go: two writing ideas from Jeff Pearlman. Good luck with them, and listen next week for another.